Does Anne Frank Copyright Extension Rewrite History? 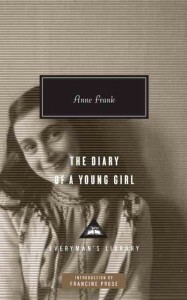 “When Otto Frank first published his daughter’s red-checked diary and notebooks, he wrote a prologue assuring readers that the book mostly contained her words, written while hiding from the Nazis in a secret annex of a factory in Amsterdam. “But now the Swiss foundation that holds the copyright to ‘The Diary of Anne Frank’ is alerting publishers that her father is not only the editor but also legally the co-author of the celebrated book. The museum has, for the last five years, been working closely with “historians and researchers” to build a web version of the diary that had been planned for publication after the copyright had expired.